The items offered, which included a prize collection of Pilkington’s Lancastrian lustre (see News, ATG No 2363), had mostly been acquired over the last 15 years as the current owners of the estate made a conscious effort to restore it to its former glory. As with other areas, their purchases when it came to pictures included works bought from leading London dealers and it would appear that the attractive-looking estimates were pitched at some way below the original retail levels. Overall, the 182 paintings, watercolours and prints at the auction raised a hammer total of £259,110. The oil paintings were led by a still-life by Edward Arthur Walton (1860-1922) that had been bought from The Fine Art Society in London. 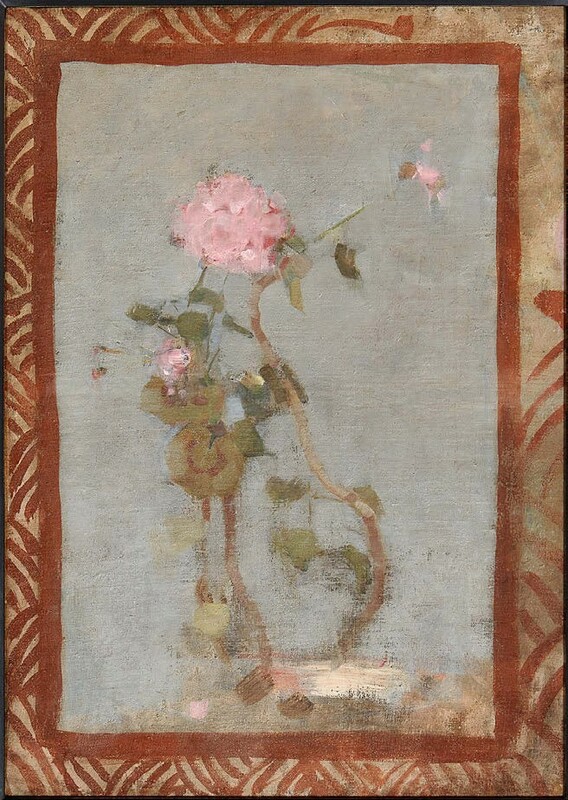 Still-Life of Pink Geraniums was a relatively rare subject for the ‘Glasgow Boy’ whose landscapes and portraits appear more frequently on the market. The 23¼ x 16¾in (60 x 43cm) oil on canvas was also slightly unusual in terms of composition, with the painted decorative border acting as a ‘frame within a frame’. The picture was described as ‘carefully composed’ in the catalogue, with the delicate brushwork and soft colouring ‘creating a subtle interplay of texture and tone’. Also in its favour commercially was the fact that it had been with the artist’s family for much of its existence, passing to the artist’s daughter Lady Hutchison before later being owned by her son Robin Hutchison. Estimated at £6000-8000, it generated some decent interest before it was knocked down at £10,000 to a private client bidding online, an above average price for the artist but one of the highest at auction for one of his still lifes. Also selling to an internet bidder was one of Sir Gerald Festus Kelly’s (1879-1972) portraits of his favourite model and longtime muse, Lilian Ryan, who later became his wife. Titled Jane XLVI – in a BBC interview Ryan recalled that on first hearing her name Kelly had exclaimed “what a bloody name, I can’t call you that, I shall call you Jane” – the 3ft 3in x 2ft 8in (1m x 81cm) oil on canvas was one of more than 50 paintings depicting the sitter. This one was exhibited at the Royal Academy in 1946, three years before Kelly became president of the institution. In fact, he submitted a portrait of her to the RA every year after 1920. 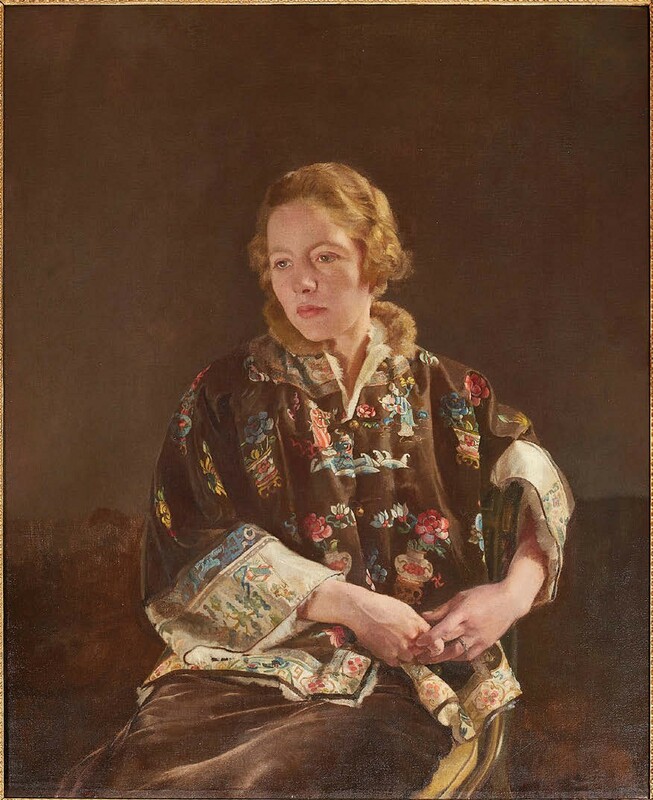 Although here she was shown wearing an Oriental silk robe, which arguably made it slightly distinctive, these portraits are not as valuable today as his earlier works, especially the acclaimed paintings of Burmese subjects produced when he travelled to Asia in the early 1900s. Nevertheless, this highly finished work had its admirers and against a £4000-6000 estimate it got away at £4800. The pool, an etching signed and dated by CRW Nevinson – £6000. Elsewhere in the Kirkton House pictures were some notable performances among the 92 prints on offer. This included a copy of Gerald Leslie Brockhurst’s (1890-1978) ‘scandalous’ etching Adolescence which took £13,000 against a £8000-12,000 estimate and was the top lot among the Kirkton pictures. 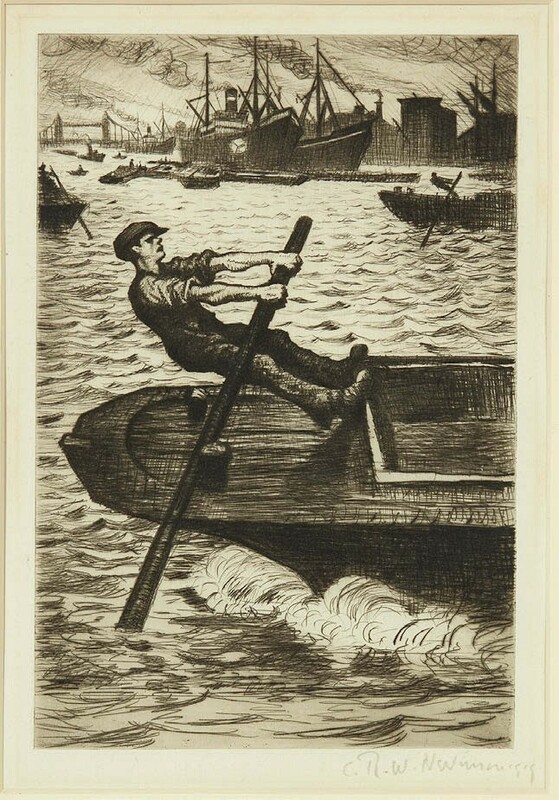 While good interest also emerged for drypoints by artists such as Sir Muirhead Bone 1876-1953) and Frederick Landseer Maur Griggs (1876-1938), the strongest competition came for what appears to be an early and highly scarce CRW Nevinson (1889-1946) print. Titled The pool, the 9¾ x 6¾in (25 x 17cm) etching was signed and dated 1919 and, against a £250-400 estimate, it sold at £6000 – not especially high for a Nevinson print, but few records exist of this impression selling at auction.